If you just have them missing on notifications, it's most likely an incompatible mod. Make sure your mods are updated, especially if you use any UI Mods. Before trying the methods below, try repairing the game. To do so, right click on the game in Origin and hit repair game. 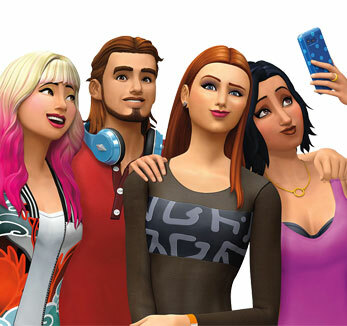 Origin may prompt you for what language to install in, if it does make sure to choose the same language you originally installed The Sims 4 in. These steps are for PC only. Make sure your Origin client is set to the same language that it was set to when you originally installed The Sims 4. Make sure your Origin client “Downloaded Games” location (set via Advanced panel in Application Settings) is the same as when you originally installed The Sims 4. Remove any mods you are using. This issue can also be caused by mods. There should be two files in there. Right click on The Sims 4 and select Move to Trash. Don't drag the file as it will only move an alias and leave the original in place. Leave the other file, The Sims 4.par alone. 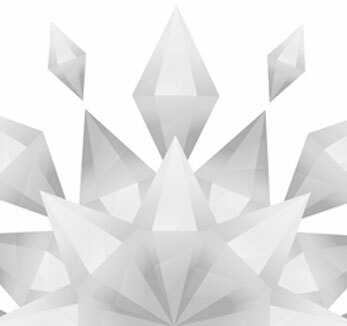 Now open Origin, click on The Sims 4 in your Games Library and click on Download. Feedback if this method works is appreciated!! No need to be worried about your current save games. Just make sure you backup everything and put it back afterwards: http://sims4.crinrict.com/en/2014/09/backups/. Check on the date of this file: C:\ProgramFiles(x86)\Origin Games\The Sims 4\Data\Client\Strings_ENG_US.package. Please follow instructions below to make sure you don't loose your save games and that you don't have to redownload everything No need to be worried about your current save games. Just make sure you backup everything and put it back afterwards: http://sims4.crinrict.com/en/2014/09/backups/. If you have the download version, you don't need to redownload everything. Just follow instructions here: http://help.ea.com/en/article/backing-up-and-restoring-your-origin-games/ You can also try follow the steps described here: http://answers.ea.com/t5/The-Sims-4/Info-Request-Codes-instead-of-text/m-p/4213308#M27260 Check on the date of this file: C:\ProgramFiles(x86)\Origin Games\The Sims 4\Data\Client\Strings_ENG_US.package. 187 people had this problem. Please use the solution below to solved this issue. It's fairly straight forward. The download should be small and short (just the exe file). Feedback if this method works is appreciated! I noticed when we first got ghosts that my menu options we're bugged in some way and now it's the same for the pool options. I have taken out all Mods and cleared cache files in a hope it would solve it but it hasn't. I get similar for any interactions that involve the pool or people in it and it's the same for ghosts - anything that involves a ghost comes up similar to the above. Any suggestions on how I can fix this would be much appriciated. I realize this is by no means game breaking but I have tried everything from repairing game to other suggestions on my thread when the ghost patch was issued such as removing UI.package file and then repairing, etc and nothing has worked except completely uninstalling and reinstalling my game. I have no CC and no Mods whatsoever in this game (or any since Sims 1- vanilla player all the way here). I am playing the game on an iMac with Bootcamp and it plays on High settings with no lag since release date. On the Bootcamp side it's Windows 7, SP1 with 4 GB RAM & 64 -bit. The actual in-game performance is flawless. Did it happen again with the pools patch ? I also do not know of another solution other than to reinstall the game. Hi Crinrict- yes this issue happened again with Pools. And once again completely unistalling and reinstalling was the only thing that worked and now all the pools related text looks normal. It's very odd, just trying to put this issue out there so hopefully they'll be able to identify what is causing it and prevent us who are affected have to reinstall every time a new 'additions' patch is released. PS: I have for many years used your threads for troubleshooting so I want to say Thank You for all your hard work!! I am also having this issue - Seems like a bug! When hovering over the pool in build mode the name is nothing but some sort of code and when hovering other indavidual pool's the same. When In Live mode and clicking the pool the same happens with 2 Codes!! Guess I'll be making a blog post about this. It doesn't seem a mac issue at all since many have had it. I'm having this problem too. I thought perhaps it was related to my edited strings mod, but the issue's still there when I take it out. @tinydancer114 Could you please check your PM. Click on the little envelope in the upper right corner.